All Cove homes currently listed for sale in Cove as of 04/23/2019 are shown below. You can change the search criteria at any time by pressing the 'Change Search' button below. If you have any questions or you would like more information about any Cove homes for sale or other Cove real estate, please contact us and one of our knowledgeable Cove REALTORS® would be pleased to assist you. "HORSE PROPERTY! LOCATED JUST 15 MIN NORTH OF LOGAN. 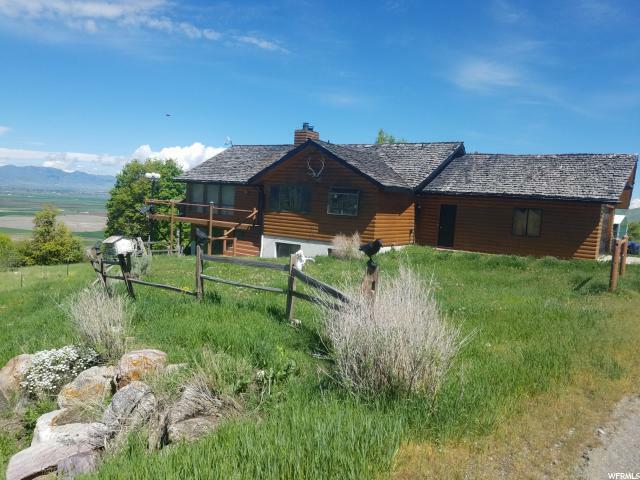 THIS BEAUTIFUL RANCH IS A UNIQUE FIND THAT SITS ON 6.44 ACRES OF PRISTINE LAND. THIS SECLUDED HOME PROVIDES A 360 DEGREE VIEW OF THE VALLEY AND MOUNTAINS! THE HOME HAS BEEN WELL CARED FOR AND PROVIDES TONS OF NATURAL LIGHT WITH A CABIN FEEL, BUT WITH ALL THE MODERN DAY CONVENIENCES! THE PROPERTY IS FULLY FENCED AND A CREEK RUN THROUGH THE PROPERTY. IT IS MINUTES FROM NATIONAL FOREST AS WELL AS CHERRY CREEK SKI RESORT WHICH PROVIDES YEAR ROUND ENTERTAINMENT. PLENTY OF HORSE TRAILS NEARBY FOR RIDING. AN ADDITIONAL 16.99 ACRES ARE AVAILABLE FOR PURCHASE AS WELL.! Can be sold with tax id 09-027-0058 and 09-027-0021 for addtitional 16.99 acres for 220,000 more. SELLER MOTIVATED! BRING AN OFFER!"